When all is said and done, this book is first and foremost about fundamental human stirrings—from elation to doubt, optimism vs. fatalism, knowing that you’re one of the best while always, always having to see that one thing that the world says matters slip through your fingers. 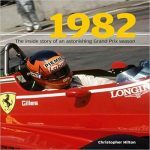 You don’t have to be racer or of a particular age or gender to find in this story inspiration to calibrate the priorities of your own life. If you’re not hooked by the time you’ve finished the Prologue, read it again. Richard Lloyd Ruby (b. 1928) died in the same small town in which he lived all his life, Wichita Falls, Texas. He was 81 and whatever “simple, steadfast values” he possessed, they kept his head screwed on straight throughout an impressively long and varied career, beset, at times, by what must have been a sense of frustration that his very name had become a byword for coming up short: “The Greatest Driver Never to Win the Indy 500.” Who knows who coined that phrase, certainly his lifelong friends like three-time Indy champion Johnny Rutherford and four-time winner Al Unser said them, and they certainly reflected the sentiment of the day. So emblematic had they become that they were also the title of a 2001 biography (ISBN 978-0971100305) by Ted Buss, an editor and columnist for the Wichita Falls Times Record News who obviously knew Ruby. “Hard Luck Lloyd”—such a name is a terrible burden, even if given in sympathy. Luck . . . tricky business. 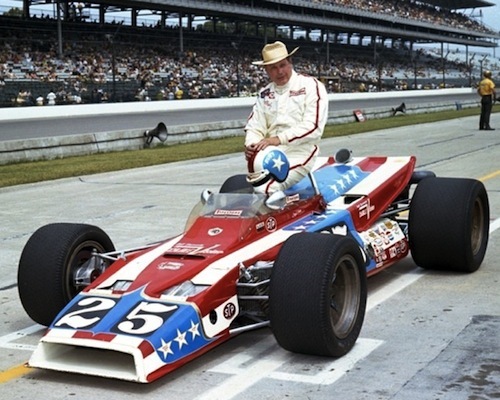 Another three-time Indy champion, Bobby Unser, made it more personal, and more painful: “The Good Lord couldn’t pick on somebody as much as he picked on Lloyd if it was just bad luck. You have to make yourself available to have good luck, and I don’t think Lloyd did that enough.” That last sentence could really ruin your day, and it is the Big Issue the book tackles. From practically home-built Midgets in the late 1940s—not to mention motorcycles before that—to Indy cars in the 1970s, Ruby drove everything and everywhere, even a Jaguar XJ220 in 1993 after an absence from pro racing for many years. In view of his many, many accomplishments—for which he was honored late in life with the Bruton Smith Legends Award at the Texas Motor Sports Hall of Fame (2005) and inducted into the Midget Auto Racing Hall of Fame in Tulsa (2008) as well as the Auto Racing Hall of Fame where he shared the Louis Meyer Award with co-recipient Helio Castroneves—it seems so useless to continue to think of Ruby only, or mainly, in terms of not having won the Indy 500. 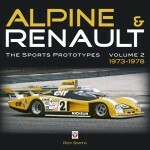 That he qualified for 18 consecutive 500s in the years 1960–77 is all by itself a very great accomplishment. That he remained beloved and respected by his peers throughout his racing career and his life in general, that is a very great accomplishment. 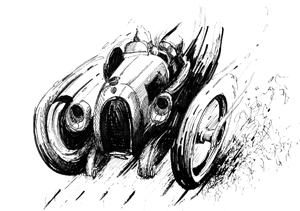 The second offering in this publisher’s “American Racing History” series, the book is a very worthwhile contribution to advancing the reader’s esteem of “a fearless wheelman with iron nerves and a lead foot.” Lingle grew up in Ruby’s hometown and realized first-hand that “the Pride of Wichita Falls” was not being portrayed in a balanced way. As an amateur racer himself (2011 Texas Region Rookie of the Year in the Camaro-Mustang Challenge series), Lingle is able get into a driver’s head. 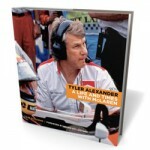 And as a columnist for the IndyCar® website www.morefrontwing.com Lingle brings proper journalistic tools to the task and has interviewed family and friends, drivers and mechanics, and racing journalists and historians such as Donald Davidson and Robin Miller. Thoroughly illustrated, this is a multi-faceted, sensitive, and sensible look at a man and a life, written in compelling and engaging prose. 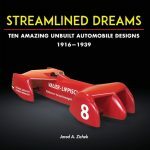 Endnotes show Lingle’s sources and some 65 pages of lists present “Ruby Statistics”: the hundreds of races with their victories, poles and DNFs, and Ruby’s Indy 500 placements. For a first-time book author, this is in every category a winner. I had the pleasure of meeting Lloyd Ruby about 20 years ago, when my brother-in-law was one of his physicians. I met him on a Saturday morning at his garage, where he and some friends were enjoying a few bags of McDonald’s before setting off for their golf game, as I recall. He was quite gracious and didn’t seem to mind the intrusion at all. He invited us to look around all we liked, just please lock up when we left. When I returned to Wichita Falls after his passing, I attempted to find his garage but sadly it had apparently been torn down for a parking lot. 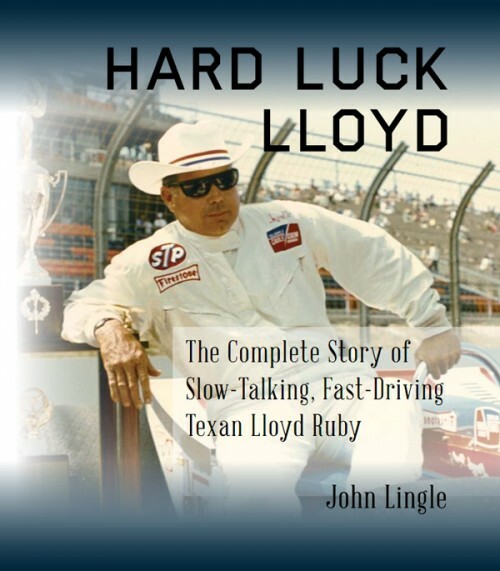 [From the author] Thanks to Speed Readers for this very thorough review of #HardLuckLloyd!